Over the years, your makeup routine should change with your age. Too many women get stuck in a makeup rut early in life once they figure out which products and techniques best complement their features. The reality is that the makeup looks that best enhance your face don’t stay the same forever because your face doesn’t stay the same forever. The perfect makeup look for you at twenty-five is probably not so perfect for you at age forty. That doesn’t mean that you should expect the positive effect of makeup to fade for you as you age. 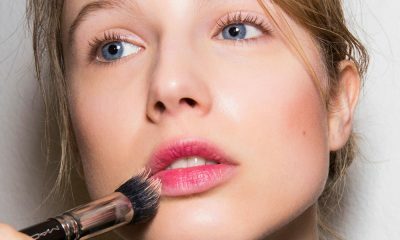 It just means that you probably need to tweak your makeup routine over the years to make sure it’s still the best match for your skin and features. Many women have made such a habit out of their daily beauty routine that they fail to notice that their tried-and-true makeup tricks aren’t working so well anymore. As you age, changes in your skin and features are inevitable. 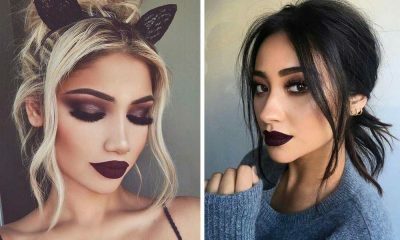 Altering your makeup routine to keep up with these changes is vital to ensuring that your makeup enhances your natural beauty just as well as it did twenty years ago. There’s a reason the phrase “youthful glow” is so commonly used. As you age, your skin naturally becomes more dull. Brightening your skin means striking a fine balance between dullness and clown-like sparkle. Apply highlighter lightly over your cheekbones and the inner corners of your eyes. Stay away from glittery highlighter that creates an artificial look. Try liquid highlighter to avoid the dry finish that sometimes makes powder highlighter formulas look like they’re sitting on top of your skin. Stay away from all matte makeup, whether it’s lipstick or foundation. Go for products with a dewey finish instead to add a glowing, hydrated finish to your skin. Over the years, your eyes start to look more tired and dark circles under your eyes become more obvious. Wearing cool eye makeup shades only accentuate these changes. Always opt for warm eye makeup as you get older. Go for warm neutrals like gold, browns, and muted pinks and reds. 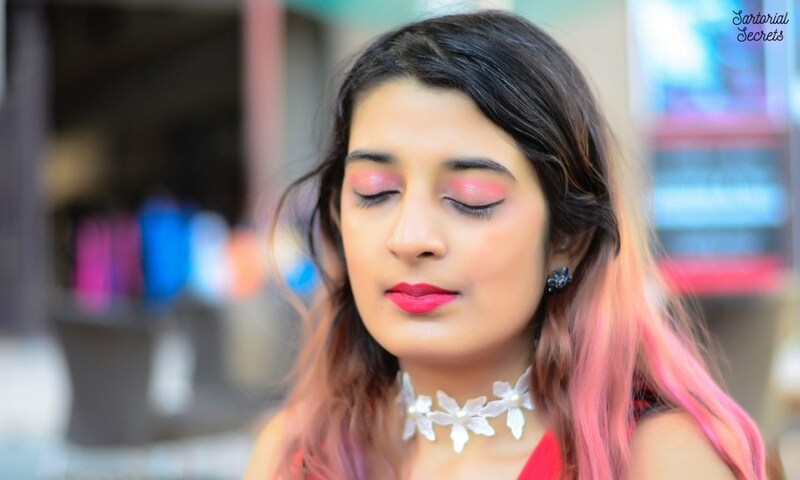 Wearing eyeshadow with a subtle shimmery finish can also add brightness to your eyes, but stay away from glittery shades that look overdone and immature. As you get older, the undertones of your skin can change as your skin naturally loses some of its pigment. If your undertones have shifted, you might be using makeup shades that are completely wrong for your skin tone. Every few years, visit a department store or makeup boutique to get professionally shade-matched to make sure your makeup and undertones are still in tune. You can also check your undertones yourself by examining the veins on the inside of your wrist. If they look blue in natural light, you probably have cool undertones. If they look green-ish, your undertones are likely warm. Many women aren’t sure how to handle the changes that occur in their eyebrows over time. As you age, your hair naturally thins. This causes your eyebrows to become more sparse. Many women respond to their thinning eyebrows by ending their plucking or threading routine and doubling up on their brow pencil. In reality, this is one of the worst ways to counteract the appearance of sparse brows. To rebuild your brows in the most natural way, don’t stop grooming. Keep plucking or threading, but establish clear boundaries for where you want your brows to end and only remove stray hairs from that area. Also, drawing bold pencil lines over your brows to add thickness creates an artificial, harsh finish. Instead, switch from harsh brow pencil to tinted brow gel or pomade. Use a thin, angled brush to create, short dash-like strokes to create natural-looking hair-like marks. You should stop wearing sharp eyeliner after you hit age forty. Harsh, clearly-defined liner draws attention to sagging eyelids and accentuates the appearance of fine lines and wrinkles. This doesn’t mean you should stop wearing eyeliner entirely. Instead, opt for pencil or gel liner over liquid and smudge it for a softer finish. Smudged liner can create the illusion of smoother skin. It also minimizes the visibility of wrinkles and lines around your eyes and can make your eyes look wider, brighter, and more alert. Some of the most noticeable changes in your appearance that come with age are results of skin damage you have sustained over the years. Decades of drinking can open up blood vessels in your skin and add redness to your skin tone. The effects of sun damage can cast a yellow shadow over your skin. A long-term smoking habit breaks down collagen in your skin and leads to sagging and wrinkles. Wearing color-correcting makeup is one of the best ways to conceal visible skin damage from smoking, drinking, or excessive sun exposure. Use green color-correcting primer and concealer to hide redness in your skin from drinking alcohol. Try purple color-correcting makeup to neutralize the yellow undertones that can result from sun damage. You can help reverse skin dehydration and sagging from years of smoking with retinol creams that hydrate and restore your skin’s texture with vitamin A.
There’s nothing wrong with trying to restore a youthful appearance to aging skin. However, using makeup to look younger and using makeup like you are younger are two different things. Many women make the mistake of attempting to look younger by mimicking the makeup habits of younger people. Aging skin reacts differently to makeup than youthful skin, so this trick usually fails. The best way to make yourself look younger is to restore the youthful properties of your skin by adding brightening and hydrating steps to your routine. Women of every age deserve to feel comfortable and beautiful in the makeup they wear. Stop ignoring the changes that happen naturally in your skin and face as you age. Instead, embrace them and work on formulating a new makeup routine that complements your features as they change and helps boost your confidence at any age.